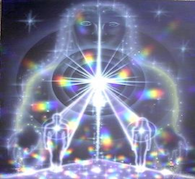 Arrange many different remote healing sessions only programming them together with your Divine Self. Send more than 24 hours/day of healing sessions, program more sessions for a day, and for different days too. Program for sessions to start and stop at specific times. Program healing sessions for specific intentions. Set up an energetic power factor from 0% to 100% of the maximum energetic flow manageable by the receiver. Send healing sessions with the “call-in with the simple intent” option to allow the receiver to call in the healing session when they want to receive it. All of these new abilities will always be present independently from how you receive or send the energies – via hands on or remote sessions and future times. Have at least the first level of Reiki.